Did you know most homeowners policies do not cover flood damage? The Andrew Agency specializes in flood insurance and we’re dedicated to providing you options to meet your unique needs. Not every flood comes from tidal surge or ragging river. Increased development, clogging or insufficient storm drains, and excessive rain, ice or snow contribute to unexpected flooding. 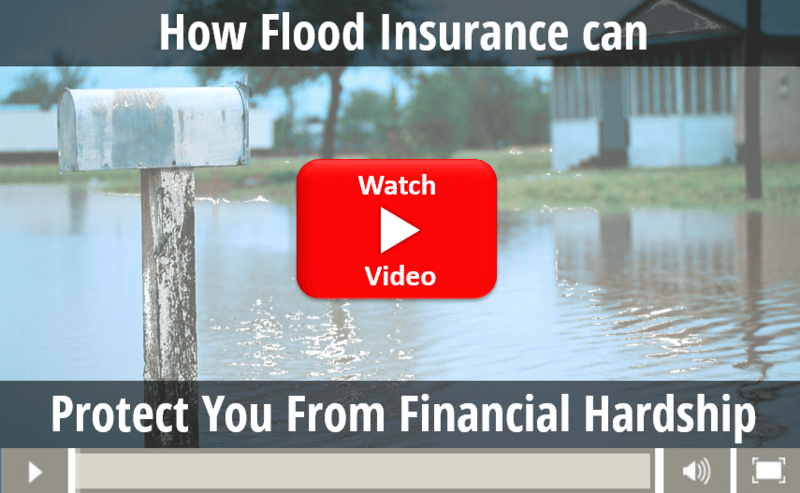 Flood Insurance–Why Do I Need It? FACT: Floods are the nation’s most common and costly natural disaster and cause millions of dollars in damage every year. Floods cost America, on average, $8.2 billion each year (according to 2015 data). Recovering from just one inch of water inside your building can cost about $27,000. Learn about The BIG Cost of Floods. FACT: Homeowners and renters insurance do not typically cover flood damage. FACT: Most federal disaster assistance comes in the form of low-interest disaster loans from U.S. Small Business Administration (SBA) and you have to pay them back. FEMA offers disaster grants that don’t need to be paid back, but this amount is often much less than what is needed to recover. A claim against your flood insurance policy could and often does, provide more funds for recovery than those you could qualify for from FEMA or the SBA–and you don’t have to pay the money back.